You have 7 days from the time your order is received to notify us of any issue. 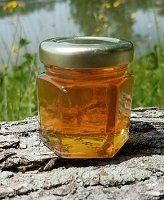 Food Items (honey, royal jelly, and propolis) are Not Returnable. We suggest you consider buying a smaller container of honey or other bee product prior to buying a larger size container if you have never tried the product you are purchasing. 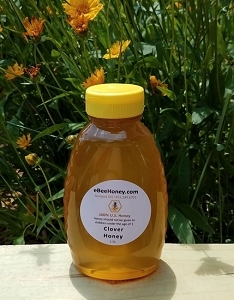 Please also note all honey favor orders are filled to order when orders are placed and are considered special orders and are non refundable and can't be returned. If you are requesting the return of a nonfood item, please call us for approval prior to the return. There is a 15% restocking fee and also the nonfood item has to be in resalable condition (never used, no smoke smell, etc.) If we receive a return that has been used or smells of smoke or any chemicals, the return will not be approved and no refund given. If we have a package returned to us that is not deliverable to you or that we accept as a return: please note that the shipping cost we paid to ship to you will be deducted prior to any refunds. We have some items with free shipping - (i.e. shipping is included into the price of the item). 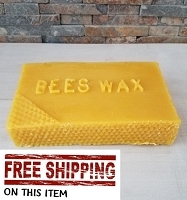 We also offer these exact same items without free shipping (i.e. shipping cost built into the price) so the difference in the two items will be the shipping cost which is deducted from your refund amount. Also honey is sold by weight not fluid oz. Honey is 1.5 times as dense as water and the fluid oz. of jars is determined by water, something liquid etc. So 5 pounds of water will be in a jar that is 1.5 times larger than a jar that would hold 5 pounds of honey. Honey is a product that varies from year to year and even bee yard to bee yard, we let folks know that taste will and does change with honey. Orders are completed automatically online as soon as you click the submit order button. We do not ever have access to credit card information with online orders. A 5% fee is charged on cancelled orders. (i.e. if the order has not been shipped). If a personalized honey order is cancelled prior to the shipment date and labels have been printed - a minimum fee of $20.00 is charged. Personalized orders that have been shipped can not be returned as they were bottled and made specifically for your event.